The patient had broken fillings, chipped teeth, spacing problems all treated with porcelain veneers. While stepping off a bus this patient fell and broke 2 front teeth. We repaired both teeth with bonding in less than 2 hours. 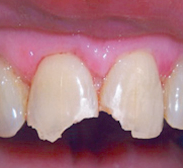 Patient had wide gap which was corrected with porcelain crowns. 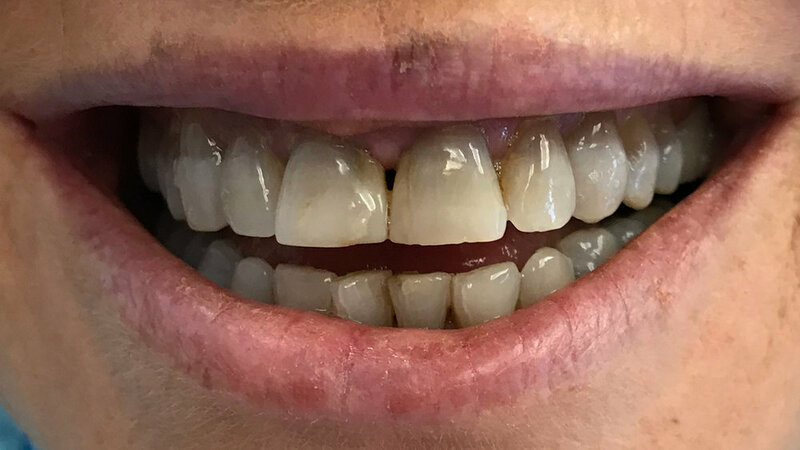 Severe tetracycline stained teeth restored with porcelain veneers. Patent had recession causing food traps corrected with porcelain veneers.